its cornerstone was a gift of land from pioneers who valued the role that education plays in building a better world. Today, their optimism and belief in unlimited possibilities is manifested in a world-class public university with a world-class library. 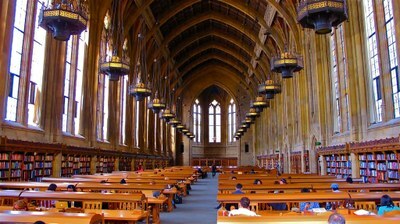 You can carry forward their bold vision by making a gift of materials to the UW Libraries. We endeavor to accept only those materials that are in good condition and that will enrich or refresh our collections in support of the needs of our academic and research community. Items may be added to our holdings as first, additional, or replacement copies. Be assured that your gift will be handled responsibly and with care. Each item will be evaluated for addition to our holdings by highly trained staff and subject specialist librarians. We regret that we are not able to notify donors of the final disposition of their gifts or return items not added to our collection. The University Libraries is committed to providing socially and environmentally responsible disposition of gift materials not needed for our collection. Whenever possible, we share or trade useful surplus gift materials with other libraries. We also recycle materials that we are not able to redistribute. Although we are not able to accept gifts for the sole purpose of redistributing them, the Gifts Program staff will gladly suggest alternative opportunities for giving. Each gift to the University Libraries is acknowledged. Acknowledgment letters typically include the date of receipt and a brief description of the gift. We recommend that our donors prepare a detailed inventory and include a copy with their donations to support their charitable tax deductions. *The UW Libraries no longer holds book sales. ’m that you are considering the UW Libraries as a home for this great collection of art books.